I think that I’ve found a new favorite snack!! 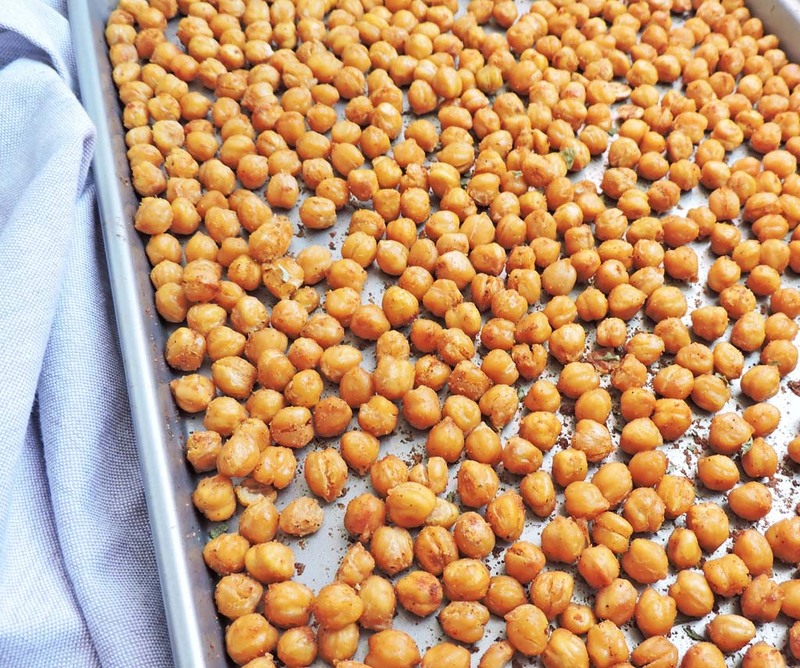 Simple Garlic Roasted Chickpeas! This tasty dish is a much healthier snack option that your whole family will love! What’s not to love about chickpeas?! I’m a huge fan of hummus so I was confused why I waited so long to make roasted chickpeas! Lol! I have seen the yummy pics of these chickpeas floating around social media and felt compelled to make a batch! Well, in my case several batches! Lol! The first batch disappeared very quickly, thanks to my hubby and kids lol! I guess it’s safe to say they enjoyed them! Since this was my first time making roasted chickpeas, I wanted to keep things as simple as possible! 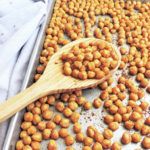 I used canned chickpeas and they turned out great!! 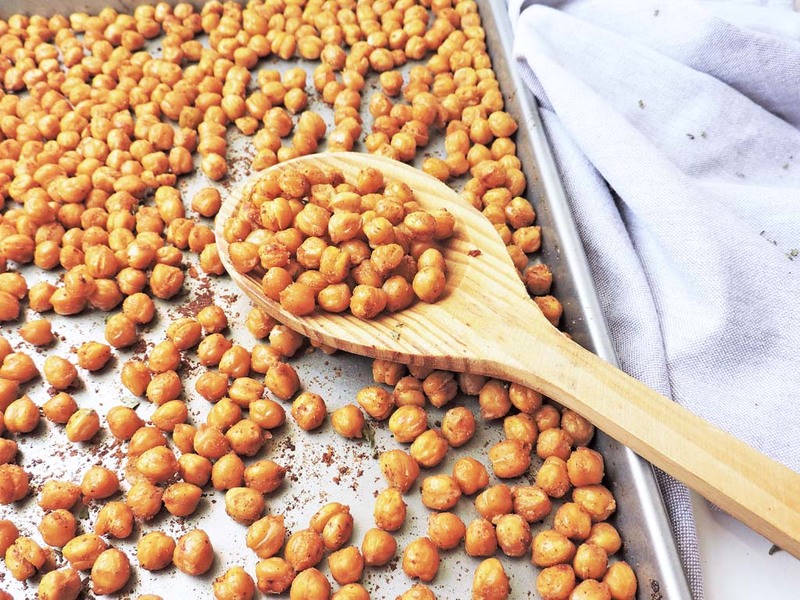 There are a few important things to remember when prepping your chickpeas. It’s very important to rinse them with cold water and dry them very well before seasoning them. Now here’s my secret for making them crunchy! Remove the skin from the chickpeas during the rinsing process. I know that this may be a pain and very time consuming, but trust me, it’s totally worth it! 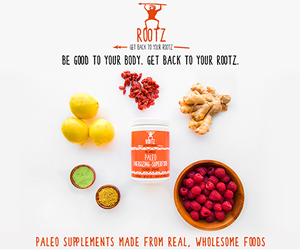 And if you’re like me, you may find this process therapeutic! Lol! I know, I’m weird but I didn’t mind it at all! I found it very rewarding to remove those skins as quickly as I did lol! Once you’ve removed the skins and dried them, apply your seasoning and bake for about 20-25 minutes! Enjoy! Lightly spray a baking sheet with non-stick spray and set aside. Rinse chickpeas in cold water and remove the skin from the chickpeas. 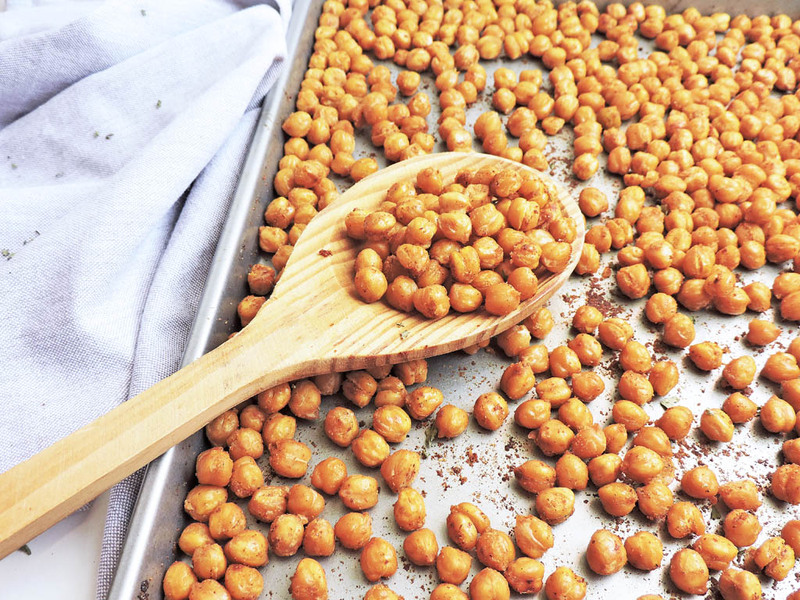 Thoroughly dry chickpeas and place them on the baking sheet. Drizzle the chickpeas with olive oil, and sprinkle garlic powder, cayenne pepper, and paprika on top. Season with salt/pepper to taste. Bake for approximately 20-25 minutes, or until chickpeas reach your desired texture. When done, remove from oven and let cool before serving.